As the master developer of Bintan Resorts, our objective is to build and maintain a stable, harmonious and healthy relationship with the local community living in the vicinity of our resorts. Bintan Resorts have been committed to growing together with local communities through 4 community development pillars; Education Assistance, Social Assistance, Village Enterprise, and the Bintan Resorts Green Initiative. 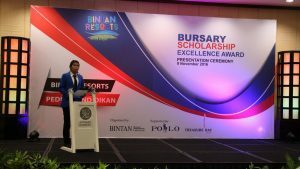 The Education Assistance pillar program (Bintan Resorts Peduli Pendidikan) places strong focus on the growth of human capital in Bintan Resorts. 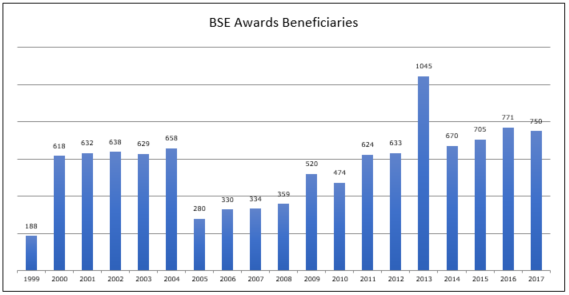 It comprises Bursary, Scholarship, and Excellence (BSE) Awards, higher education scholarship, training and development. 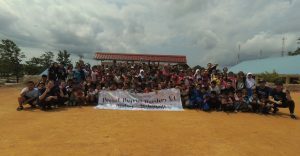 Up till 2018, there have been 7 villages and 31 schools that receive the benefits of Bintan Resorts Peduli Pendidikan. While BSE focuses on elementary and secondary schools, the HEA program helps those who want to further their studies. The awardee is not only provided with free tuition fee but also directions to their dream career in accordance to the below path. In the first step, potential employment opportunities are analysed in BRC and other affiliated companies. This is followed by a registration and selection process (academic test and interview). Successful candidates will be granted scholarship after signing the agreement. After the 4-year-study program or 1-year-training, the awardees will be ready for employment and the career development stage. Subsequently, they are free to review future job plans. Besides the local university, the opportunity for overseas study is also offered. From 2000 to 2017, 16 students have been granted scholarships to pursue higher education in SHATEC Singapore. First initiated in 2017, Garuda Muda Camp is an integrated training program targeting senior secondary students. This training focuses on behaviour, skill, career development, and safety and environment awareness and is delivered through four camp stages. Kasih Sayang is an annual program intended for elementary school to senior secondary students. The main objective is to expose students to the hospitality-related careers in Bintan Resorts. Kasih Sayang I acquaints primary 6 students to tourism-related activity and environment friendly practices. 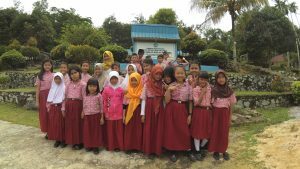 Kasih Sayang II is an introduction to positive values and career goals to third graders of junior secondary level. 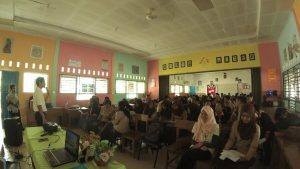 Finally, Kasih Sayang III prepares grade 3 senior secondary students for employment opportunities. This program is conducted annually by Singapore Management University (SMU) since 2011. The main purpose is to teach English and interact with the students of several elementary schools and junior secondary schools. SITA provided public facilities to schools and donated boats to local fishermen in 2014. Village Enterprise is a mentoring and empowerment effort for individuals/groups in the 7 villages of Teluk Sebung sub-district to create a sustainable livelihood through guidance for the set-up and development of a local brand or business. Bintan Resorts has helped these communities to market their product to the resorts. Social assistance aims to help communities in the aspects of loans, donation, charity, and social service. Loans are provided to local fishermen groups periodically to support them in the upgrade of their fishing equipment. Donation is given to communities/organization in need to strengthen solidarity. Charity is rendered to orphanages and nursing homes to support operations and maintenance. In collaboration with the government and communities, social activities include the repair of public facilities and active organisation of celebratory and cultural events to encourage community spirit. 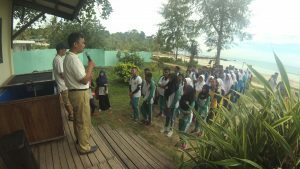 In early 2018, Bintan Resorts established a new CSR program pillar called Bintan Resorts Eco Initiative. The key focuses of this program include mangrove forest replantation and turtle conservation. Batches of mangrove trees grow along the coasts of Bintan. It is one of the key components of Bintan Island’s coastal ecosystem as it filters and blocks sediments from unstable substrates of the upstream rivers and land, and thus prevents siltation of seagrass beds and coral reefs. In 2007, a mangrove nursery which grew a selection of local mangrove species was set up. Ever since, over 18,000 m² of mangrove area has been restored. This translates into more than 28,000 new saplings along Sebung River. In terms of carbon offset, this area translates to roughly 1.8 metric tonnes of carbon sequestered per year. Currently, the mangrove nursery is being managed in the community of Sebung Lagoi, together with a village business foundation that Bintan Resorts helped to create and develop. 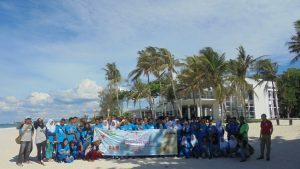 Starting December 2010, Bintan Resorts moved one step ahead in its green operation and closed the mangrove restoration area from tourism activities. The move will allow for lower disturbance and in turn greater diversity and abundance in terms of flora and fauna within the Sebung River area. Plans have been made to conduct mass mangrove replantation every month in selected coastal areas in Bintan. 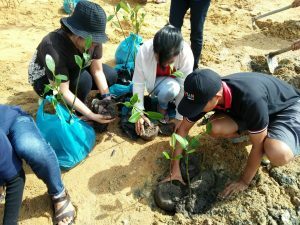 For a start, Bintan Resorts Green Initiative replanted 2500 mangrove seedlings in Sebung River Mangrove in March 2018. 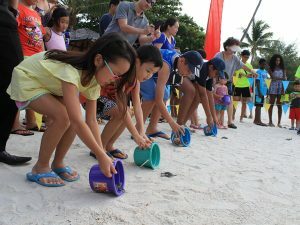 In an attempt to bring back the diminishing population of turtles in the area, Bintan Resorts has been working closely with the hotels/resorts and local community. During the nesting season, eggs are collected and kept safely in a covered hatchery located at various resorts. When the turtle eggs hatch about 60 days later, hatchlings will be released into the sea. 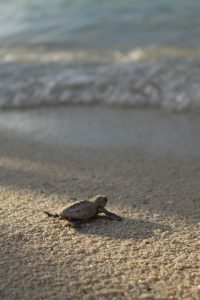 More than 4,500 hatchlings have been released with average hatching success rate varying between 85% to 91%. Egg poaching by local villagers was reduced from 91% in 2004 to 12% in 2010. Conservation messages have also been extended to schools and youth centres. Seasonal hawksbill hatcheries can be found in Nirwana Gardens Resorts, Angsana Bintan, Banyan Tree Bintan, and Club Med Bintan. All releases can be followed for free. Please contact your resort for further information on release dates. A variety of activities are available for you to get involved and contribute to Bintan Island’s social, environment and economy. We are also open to other customised efforts. Please contact Bintan Resorts at holiday@bintan-resorts.com to find out more!